Is your training regime stuck in a rut? Do you find it hard to make to the gym or to an exercise class? Staying on track is one of the most difficult things about starting & maintaining an exercise program. The Personal Training & Workout Diary will help you set goals, improve your fitness, & stay motivated. This year-long diary allows you to: record your weight-training sessions, cardio workouts, & food intake; measure your totals & results; set weekly, monthly, & yearly fitness & weight-loss targets; plan your diet & fitness programs; & track your physical measurements & overall progress. 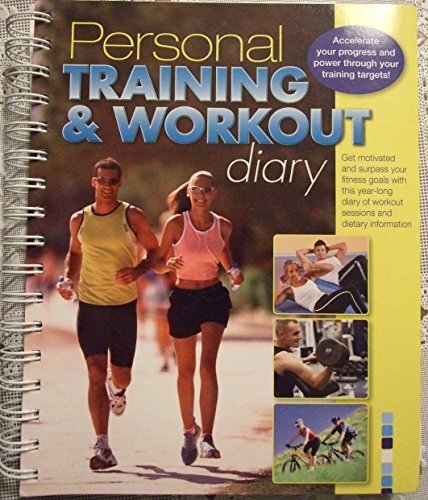 Achieve your fitness goals, maintain them over the long term, & get great results with the Personal Training & Workout Diary!